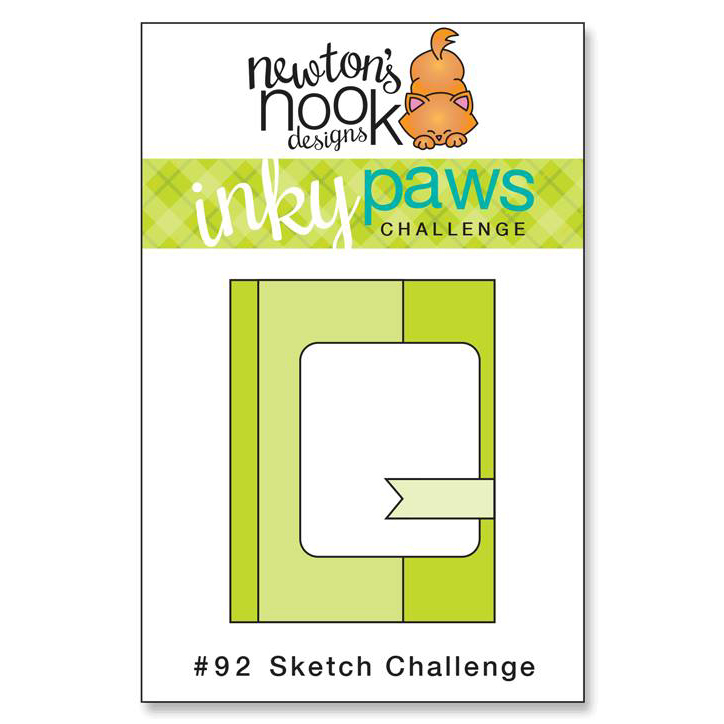 inky paws challenge 91 part 2! Hello and happy Monday! Happy President's Day! This challenge is a color challenge with black, gray, white, and pink and you have until Friday night to link up a card for a chance to win a $20 store credit to the Newton's Nook Designs Online Store! 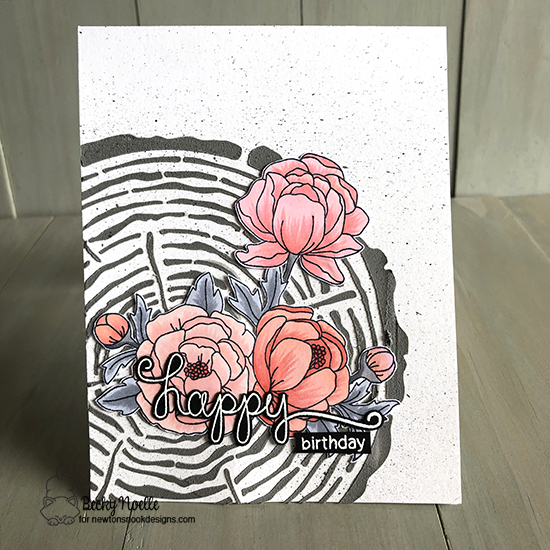 I started off with the Tree Rings Stencil on some Rustic White cardstock, I mixed a smidge of black watercolor paint with my texture paste to get that pretty gray color. I stamped my images from the Newton's Nook Peony Blooms stamp set with Memento Ink on Neenah cardstock and colored them with copics and fussy cut them out. I stamped my sentiment from the Newton's Nook Simply Sentimental stamp set on black cardstock with Versamark ink and embossed it with white embossing powder before fussy cutting that out. 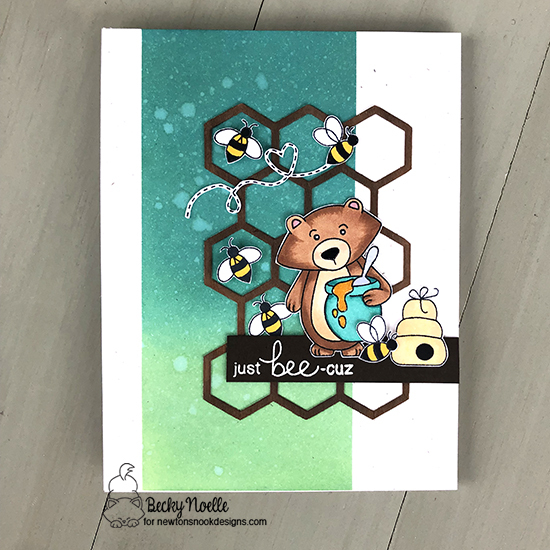 I splattered a little bit of watered down Distress oxide over my background and then glued all of my pieces down on top of the tree rings! We're in the middle of an extra holiday weekend, Bree's school was out for parent teacher conferences on Friday (which we didn't have to go to since we just had an IEP meeting) and then today school is closed for President's Day so we got to head out of town this weekend and see some friends down in North Carolina! 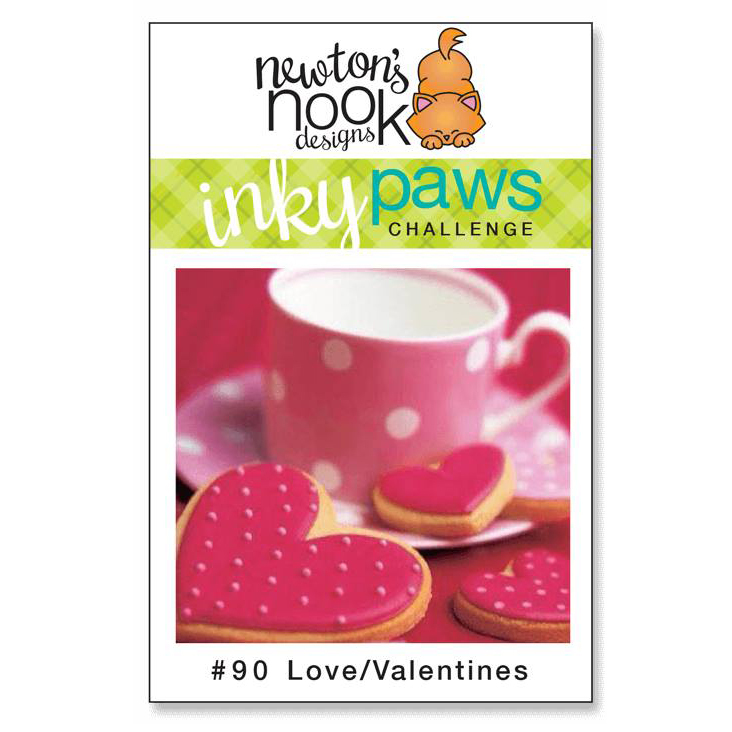 inky paws challenge #91 le meow! 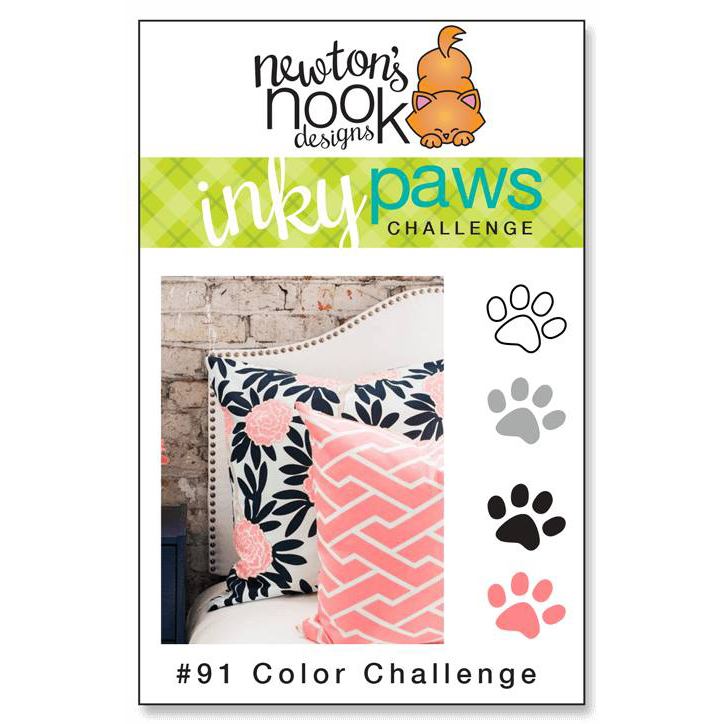 There's a brand new Inky Paws Challenge starting today, and this challenge is full of some super fun colors: white, gray, black, and coral! Link up your card to the challenge for a chance to win a $20 store credit to the Newton's Nook Designs Online Store! 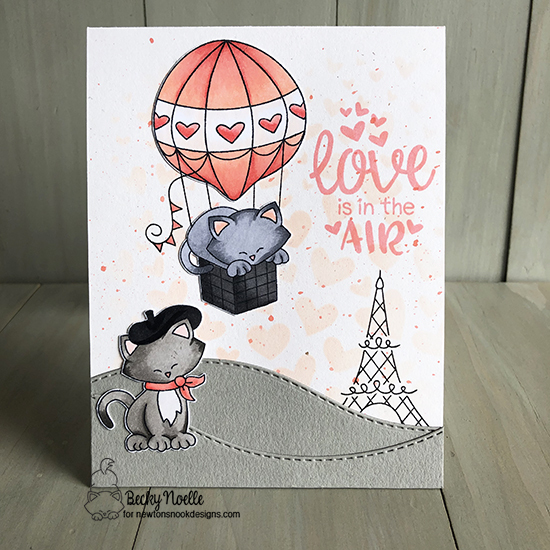 I started off by doing some ink blending on the background with the Tumbling Hearts Stencil and Tattered Rose Distress Oxide Ink. Then I mixed some Abandoned Coral Distress Oxide with water to splatter it over my background. 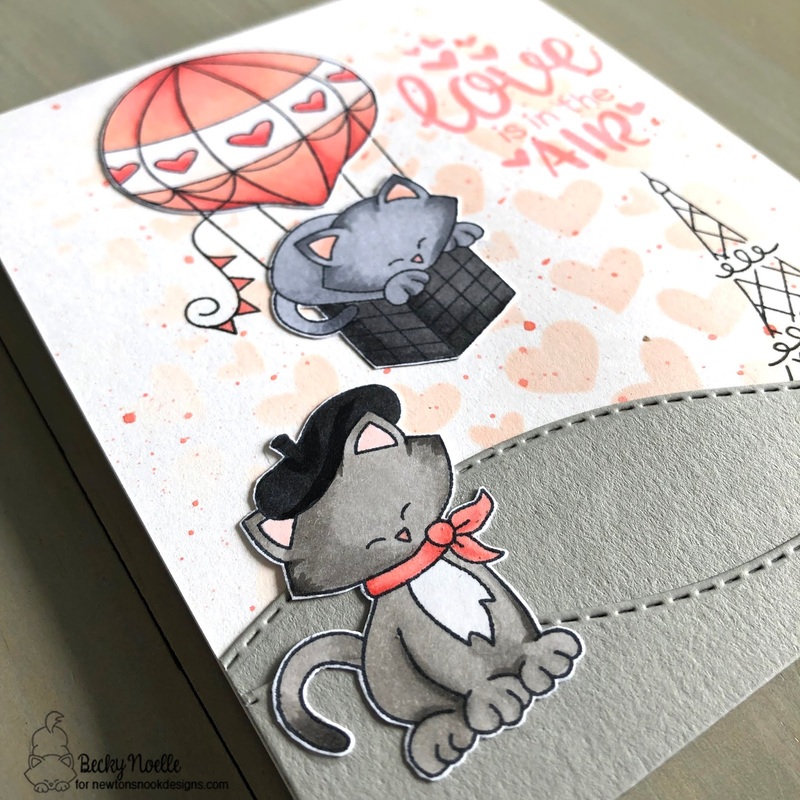 I stamped the Eiffel Tower and the kitty in the balloon directly on the background and then added my gray rolling hills that I die cut with the Newton's Nook Land Borders die. 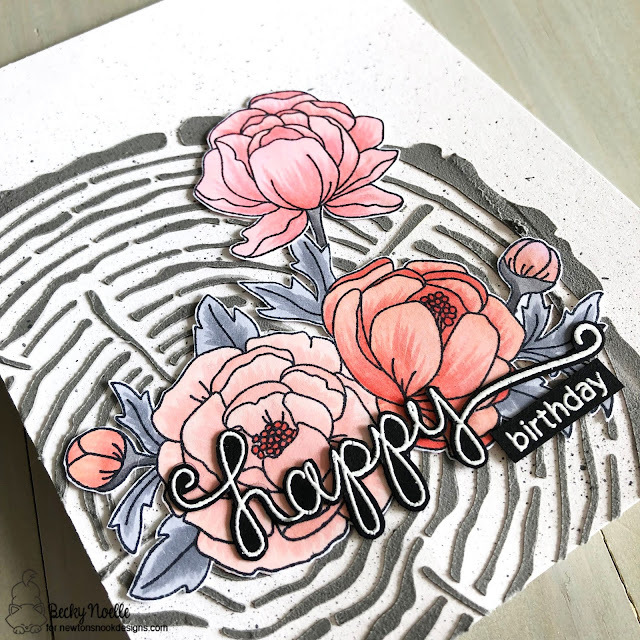 I stamped my sentiment in Coral Ink and then stamped, colored, and cut out my images on Neenah Solar White cardstock with Memento Ink and Copic Markers. 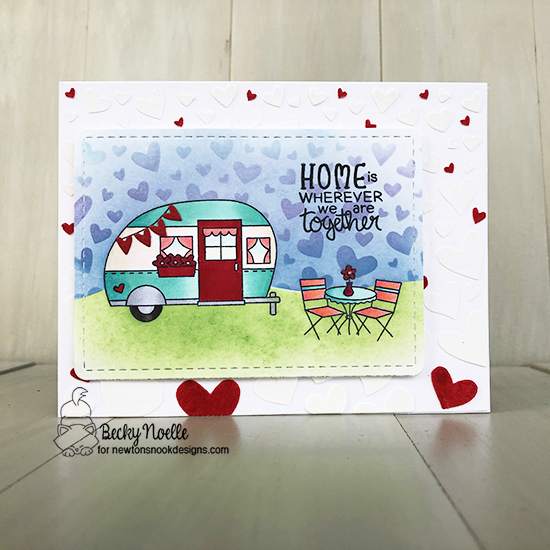 You have until Friday night to link up a card for this challenge, I hope you join us and I can't wait to see what everyone makes! Happy Monday!